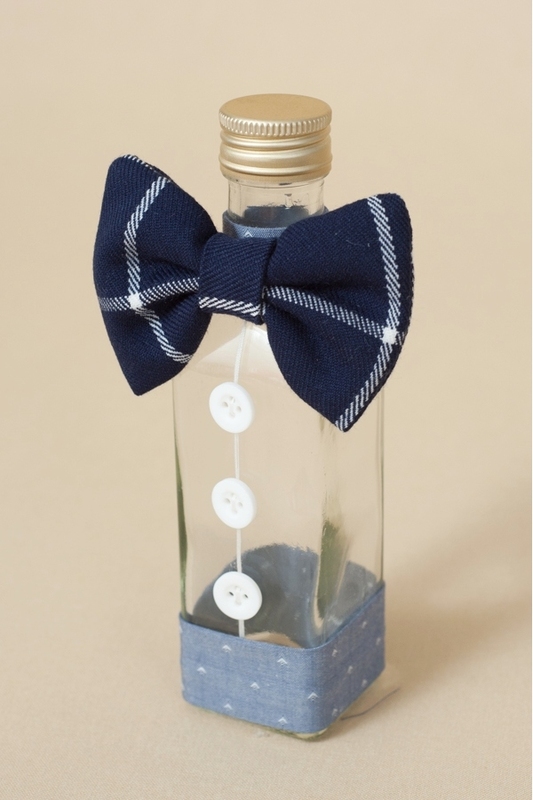 Christening Chrism Oil Bottle, decorated with a funny bow tie and buttons, matching Daddy's Boy trousseau. Dimension: 13 x 5 cm. Color: dark blue and gray.